HomePrevious subscription boxesNational Star art stars! Every month we showcase the work of talented young illustrators on our postcards. 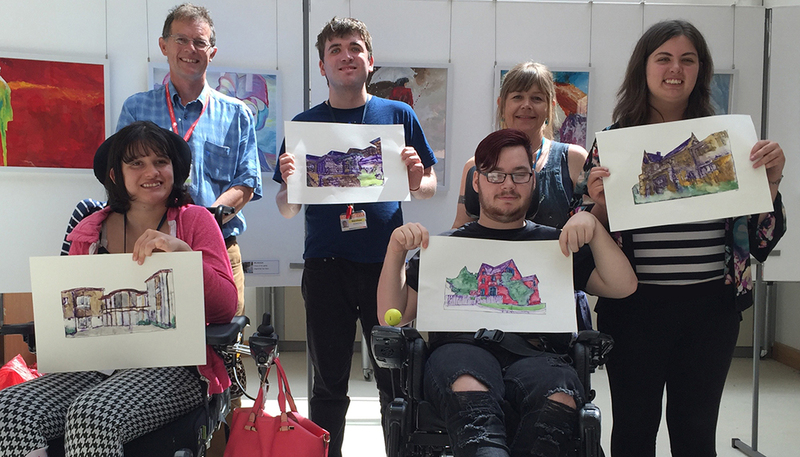 During a recent tour around the National Star College, the charity we sponsor, we were so impressed by the work in the art room that we asked the students to choose one of our upcoming themes and create some paintings for us. They chose Architecture and painted some of the campus buildings. The results are fantastic and will go out in this month’s box. Thanks to Connor Boswell, Jodie Parker-Hall, Matthew Hamilton, Megan Luscombe, Molly Lane, Telma Belo and their teacher Louise Adams for all their hard work!